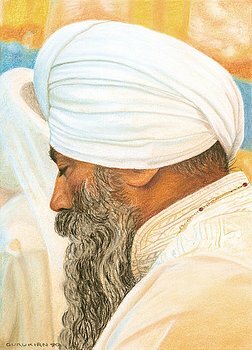 The Sixth Body, the Arc Line, is characterized as the Person at Prayer and according to Tantric Numerology as taught by Yogi Bhajan represents the balance between the physical and cosmic realms as embodied by Guru Hargobind Ji. 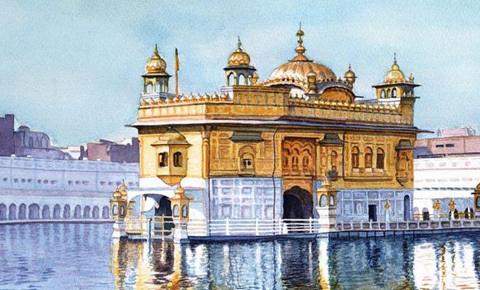 SS Guru Kirn Kaur shares her experience with the Ardas, the Sikh prayer. For five summers during the 1980s, I worked as a guide at Khalsa Youth Camp. I also spent one summer at Ram Das Puri while I was pregnant. I felt deeply connected to that sacred land and wanted my children to experience that connection as well. We gave the campers the experience of performing all parts of the Gurdwara service. The English translation of the Ardas was difficult for the children to recite and I thought I could write a poetic Ardas that would be simpler for them. For many years, Siri Singh Sahib had encouraged many of us to write poetry. He described poetry as “the expression of ecstasy between man and God.” Rhythm and rhyme condition the mind to receive the Divine. It was with this intent that I began the work of translating the Ardas into poetry. To all those who sacrificed throughout the ages. They gave life to Sikh Dharma with the power of their death. So that Thy divine love will ease our cares. In that story, Guru Angad declared that Amar Das would be the “Home of the homeless,” giving us hope that even in the darkest hours we may yet experience chardi kala. And this earth and mankind be blessed with peace. Siri Singh Sahib said poetry was “a state of mind in which the expression of the pure and conscious is infinite.” Translating the Ardas into poetry was my effort to enter into that pure and conscious state of mind. 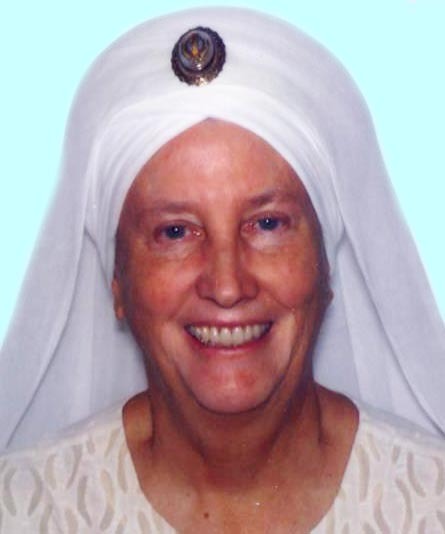 SS Gurukirn Kaur Khalsa became an ordained Minister of Sikh Dharma in 1974. She has served the Guru Nanak Dwara community in Phoenix, AZ, for many years and has been part of the team working on the construction of the new Phoenix Gurdwara. Actively involved in interfaith activities, she serves on the Arizona Interfaith Movement board. She is a member of the Ambassador Advisory Council for the Parliament of the World’s Religions. She is an accomplished painter and poet.